WHEN XTC’S Colin Moulding presented the band with ‘Making Plans For Nigel’, it immediately appealed to band leader Andy Partridge who felt the melody “reminded me of Gilbert O’Sullivan”. While Gilbert has penned such perennially popular songs as ‘Get Down’, ‘Matrimony’, and ‘Claire’, few would disagree that ‘Nothing Rhymed’ and ‘Alone Again (Naturally )’ are his finest achievements - the ‘case closed’ arguments as to why he should be regarded as an outstanding songwriter. Yet the man himself takes a surprisingly objective, matter of fact, view of the songs. “Most people assume ‘Alone Again’ came from a personal experience,” he says. “I was 21 years old, staying in a cottage my manager Gordon Mills allowed me to live in. It was on the grounds of his estate. It was private and I was glad to be able to have the chance to write all day. The songs were just coming out of me. I wrote this melody. I thought it was nice, but I put it to one side. I didn’t come back to it until much later. I needed to come up with more songs. While Gilbert enjoyed phenomenal success in the first half of the 1970s, and is enjoying success again, the singer endured lean times throughout the 1980s and 1990s, (“By lean times you mean lack of commercial success? Everybody goes through that,” Gilbert pragmatically declares ) yet what has always sustained him is an indomitable belief in his talent and ability. Not surprisingly, Gilbert has no plans to retire anytime soon and is currently at work on a new album with producer Ethan Johns, son of the legendary Glyn Johns, producer of albums by the Rolling Stones, The Faces, The Who, and The Eagles. 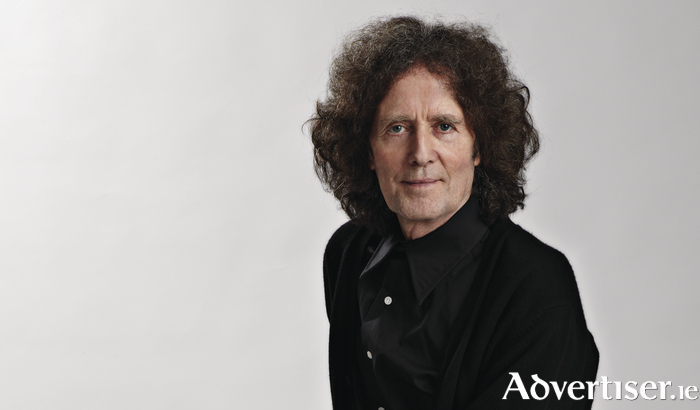 Gilbert O’Sullivan plays a ‘Róisín Dubh presents…’ concert at Leisureland, Salthill, on Saturday November 25 at 7.30pm. Tickets are available from www.roisindubh.net, the Ticket Desk at OMG Zhivago, Shop Street, and The Róisín Dubh.